Slab Water Leak Foundation Repair. If you have ever experienced water damage due to a leak in the slab of your home or business; you know it’s not a pleasant experience. 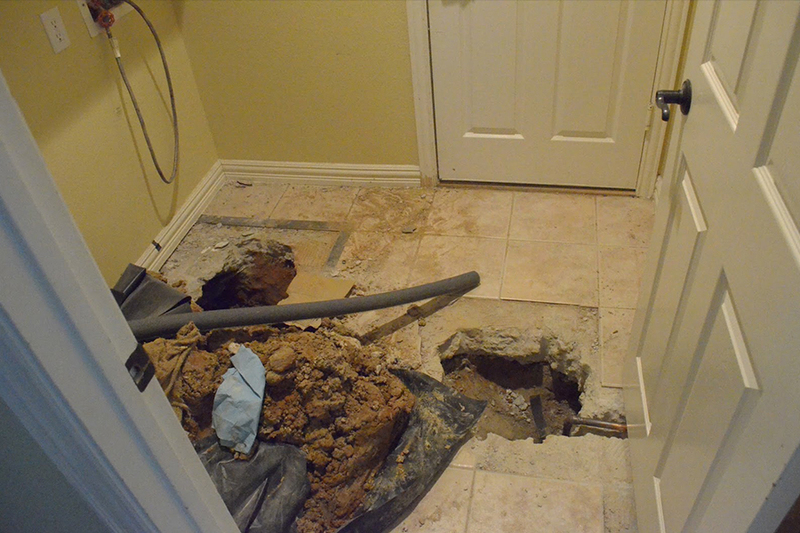 Because a small water leak can quickly become a major leak; costing you a lot more to repair in the long run. You should call a leak detection specialist from Leak Detection Gainesville when you first suspect you might have a leak. As a result, a leak in the foundation or slab can go unnoticed for some time; unless you can recognize some of the signs of a slab leak. If you have noticed any of these water leak signs; chances are you have a leak and need to call a slab leak detection specialist. Our trained leak detection technicians use non-invasive, state of the art technology to accurately locate water leaks; saving water, time and money. At Leak Detection Gainesville, we offer dependable, and professional underground water leak detection and repair. We take all the hassle out of dealing with the insurance company by dealing directly with them ourselves; so you don’t have to. so, if you have a leak or suspect that you might have a leak; call the slab leak experts at Leak Detection Gainesville for a free leak evaluation. We will send one of our leak detection specialists to your home or business, locate the water leak; and repair it right the first time.